The Meizu M6 Note went official by the company today. 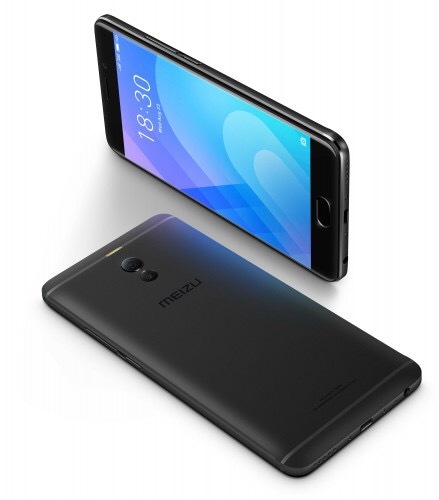 The latest M-series smartphone by Meizu comes with a Qualcomm Snapdragon 625 chipset. Interestingly, it is the first Meizu device with a SoC from chip-maker Qualcomm. The M6 Note has a large 5.5-inch LCD display with Full HD resolution. It is powered by Qualcomm Snapdragon 625 processor, and along with 3GB or 4GB of RAM depending on the variants. It has internal storage options of 16, 32 or 64 GB – based on variant you choose. Below the screen there is a fingerprint scanner that doubles as a home button. Meizu M6 Note has also a dual camеra setup on the rear with a Sony IMX362 sensor (12MP, 1.4 µm pixel size) behind an f/1.9 lens and a 5MP secondary camera to get the Bokeh effect. A dual-tone 4-LED flash should boost low-light performance, while the dual pixel sensor promises to obtain focus lock in 0.03s. The front camera has a 16 MP sensor and f/2.0 aperture for selfies and video-calls. 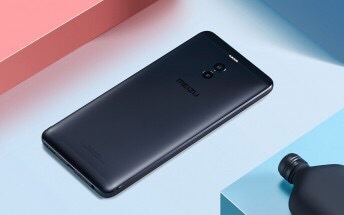 Meizu M6 Note runs on Android 7.1.2 Nougat with Flyme OS 6.0 on top. The battery capacity of the phone is huge as it is backed by a 4,000 mAh and it allows for 18W quick charge thanks to the mCharge support. 4 GB RAM + 64 GB. Prices for above listed models are, CNY1,099 ($164), CNY1,299 ($194) and CNY1,699 ($254), respectively. The phone comes in three colour options which are Gold, Blue and Black.